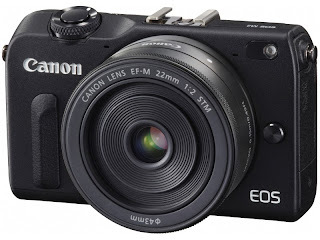 Bodzash Photography and Astronomy: EOS-M2 Announcement Begs Question: Canon, Why Do You Hate America? EOS-M2 Announcement Begs Question: Canon, Why Do You Hate America? Canon has just announced the EOS-M2, an update to the original EOS-M that, according to Canon, features AF that is twice as fast. The only problem: anyone reading this in America need not concern themselves with saving up money and/or trying to preorder the camera. Why? By the look of things as they stand, Canon has no plans of bring the M2 to America! For starters, this is not a revolutionary update, but rather an evolutionary one, and a mild one at that. However, while the EOS-M2 may just be a EOS-M rewarmed in the technological microwave, it does have the updated AF Hybrid CMOS II found in the 100D/SL1 models. Why does this matter? While generally acknowledged as a capable camera in most respects, the EOS-M had an Achilles Heel: its AF sucked! In the time between the EOS-M and now, Canon did some tweaking to its AF system and then incorporated the fix into its 100D/SL1 dSLR. Result: a noticeable improvement in AF performance. This same AF system is now being used in the EOS-M2. However, for us in America (unless you visit/order overseas from Japan), we won't be privy to any of this., which is a shame considering that, save its rotten AF performance, the EOS-M is a rather good camera by most accounts.